The subject of gender equality is all over the media and has created a massive talking point, but this has mostly been debated through a female lens. 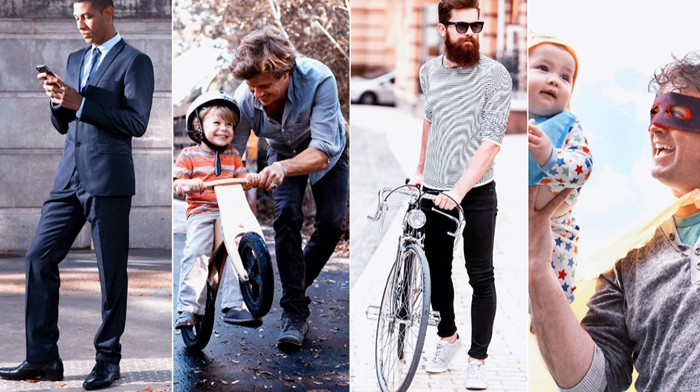 Turning the debate on its head, we have considered this issue from Dad’s perspective and have carried out self-funded research with 19 dads focusing on what it means to be a father in today’s modern family. We jointly presented our findings with Catherine Haigh from Premier Foods at the MR Summit in May and hosted our Lunch & Learn session in June. Our research has certainly created a storm; this is a topic creating dialogue and debate in daily conversations. What did the research findings convey? Dads view parenting as a partnership; it’s no longer about individual defined roles – they simply want more involvement with their child’s development. Our insight was also echoed in the Sunday Telegraph (June 2018) with an anthropologist’s claim that fathers are derided in a way that would now be considered utterly taboo about women. Our insight is consistent… rather than bashing modern dads, we should be celebrating their unique and complex contribution to child-rearing. This topic has also reached the box office – in The Incredibles 2 movie much has been made of superhero dad Bob Parr taking on childcare duties while the mum becomes chief superhero. Even Disney is tackling gender inequality and is considering the portrayal of modern family dynamics. We would argue that the stereotype of dads being feckless, incompetent and lazy is a completely outdated and delusionary assumption as echoed by the dads in our sample.